The Holocaust Memorial, unveiled on 25 October 2, stands in Judenplatz in the centre of Vienna. British artist Rachel Whiteread has designed one of the most controversial works of art in recent years. 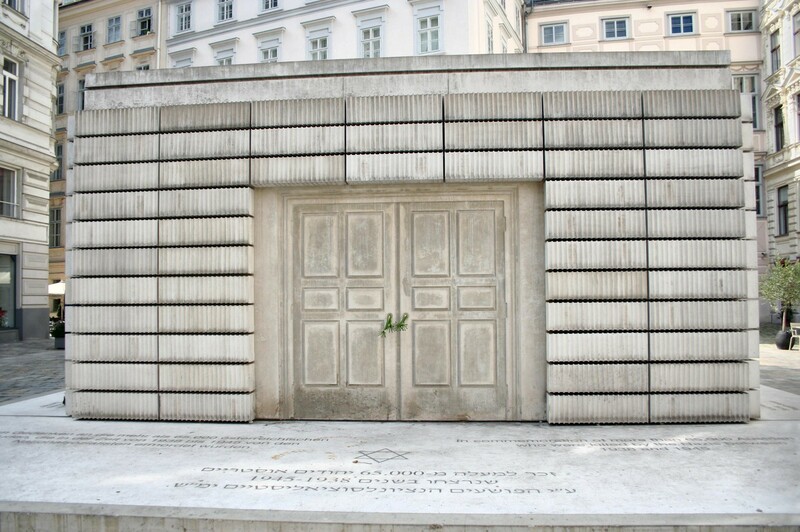 The Holocaust Memorial, unveiled on 25 October 2000, stands in Judenplatz, alongside the remains of a synagogue that was destroyed in 1421. The cast of the inside of a library pays solemn, unnerving testament to the genocide of 65,000 Austrian Jews. The sides of Whiteread's white concrete block are lined with what appear to be books (spines turned inwards, pages open to the viewer) but frozen in their material and illegible - as the People of the Book that it commemorates have also been silenced and robbed of human function. It stands on a low plinth around which have been inscribed the names of the camps and sites where the massacres took place - there were more than 30 camps in Austria alone. One side of the memorial bears a tribute to the dead written in English, German and Hebrew. Whatever your opinion of this sculpture as a work of art, its political and cultural significance is undoubted. See for yourself. Judenplatz is also home to the Museum at Judenplatz, a branch of the Jewish Museum Vienna.